Posted on March 12, 2017 by Norwich Radical	in Community, Inter|national and tagged abuse, FA, football, football association, football referee, humiliation, Norfolk County FA, red card, referee, ryan hampson, strike, strike action, strike actions, support, threats, violence, warning system. Last weekend, over 2000 referees reportedly went on strike to send a message to the national Football Association about wanting greater protection from abuse on the pitch. A walkout by referees of this scale has never been achieved before, and is a testament to the strength of feeling over this issue. As a referee myself, I am fully aware of the abuse we face as a profession and support this strike action. 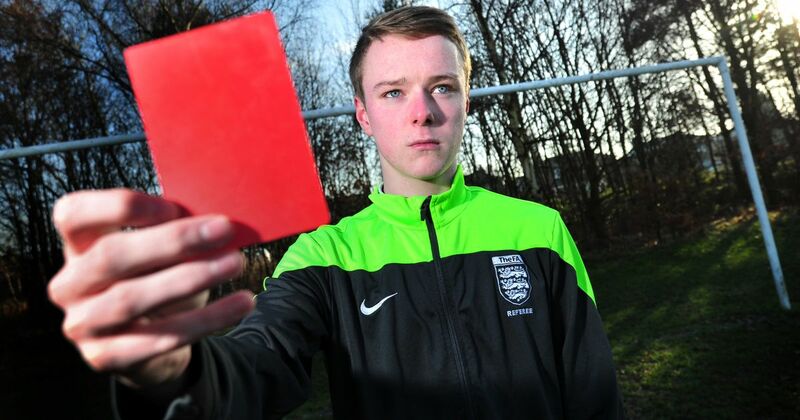 I would gladly have gone on strike too if I were still refereeing 11-a-side adult football. It has been over a year since I last took up the whistle in an 11-a-side adult match. I mainly stopped due to other commitments, but the regular abuse was a factor for me and it was a very easy decision to give it up. I’m not at all surprised that roughly 7000 officials quit each year. I’m still regularly refereeing 6-a-side student football in Norwich and enjoying it far more. I’m not sure if it’s the fact that I’ve grown older or that I’m working as part of a larger team or simply that the games are more casual – but I very rarely face the issues that I used to. I only hope that things improve for my colleagues around the country who still put up with the problems of amateur football. I’ve written about the importance of football in our community and I feel that football, especially at a local level, is often dismissed; I wish more was said about the sacrifices made every week by thousands of referees across the country, and that their strike got far more media coverage than it did. The organiser of the strike last weekend, Ryan Hampson, says he has been “headbutted, spat at and punched” during his time as an official and has heard countless other similar stories, as have I. I was threatened with physical violence and verbally abused on a very regular basis when I used to referee 11-a-side football. 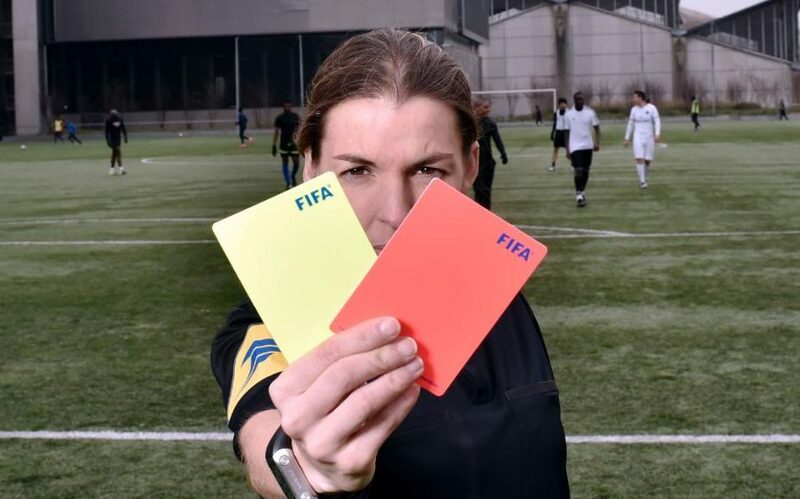 This is supposed to be dealt with using yellow and red cards – a system to warn and exclude players on the pitch – but if you’ve just been physically threatened, often by numerous players, it’s hard to feel protected by a system based on small, flimsy coloured cards kept in your pocket. The hardest aspect for me was the humiliating comments I received from players on job performance and integrity. In no other workplace would people so openly tell you that you were awful at your job every five minutes, or criticise you constantly over mostly subjective matters, especially when starting out as a young, inexperienced official. So many referees are constantly faced with degrading, shouted comments from players and a complete lack of respect. It’s astonishing that this is so common within the game, and I for one felt unable to speak out against it when I saw so many other referees and players accept it as standard behaviour. I have no doubt that Norfolk County FA would support me over issues involving actual violence or clear threats, and the organisation has treated me very well over the last four years. I was lucky that I had friends, family and supportive colleagues to talk to after a tough match, but not every referee in the country will have that luxury. I would like to see more done about how to deal with the mental strains of the job, especially for younger referees. I was taught extensively about corner flags, handballs and offsides, but given no advice on how to cope with being told that I was ‘useless’ or ‘an idiot’ or worse by at least eleven men for ninety minutes every week. I struggled with this when I started out as a sixteen year old, and this is one area where I think a lot needs to change. If poor player behaviour is to continue, we at least need to learn to cope with it mentally. Aside from solutions, what concerns me is other county football associations clearly not giving enough support to striking referees. The strike organiser believes that many officials were discouraged from taking action last weekend after being told it would impact upon their futures as match officials, claiming that a league in Oxfordshire even told some referees they would no longer be considered for selection if they joined the strike. The very least these organisations should be doing is respecting our right to strike; governing bodies turning against their own referees is just another example of the huge lack of respect we are given as a profession. In my last football piece, I referred to football – as many others do – as ‘the beautiful game’. Being a referee has certainly called into question that statement, but I am still glad to be part of our national sport. It is important that people realise the hard work so many of us do for the game, and I hope by writing this that regardless of your stance on football, we can all show solidarity to referees taking action against abuse. To me, referees were the real star strikers in football last weekend, and I hope that as a result people take a lot more notice of us, and give the profession the respect it deserves. I really sympathise with the referees who endure inhumane treatment.